Story Blurb: Ever since Cambridge-bound Colin Lancaster secretly watched stable master Patrick Callahan mastering the groundskeeper, he’s longed for Patrick to do the same to him. When Patrick is caught with his pants down and threatened with death, Colin speaks up in his defense, announcing that he, too, is guilty of “the love that dare not speak its name.” Soon they’re both condemned as convicts and shipped off to the faraway prison colony of Australia. Patrick learned long ago that love is a fairy tale and is determined that no one will scale the wall he’s built around his heart. Yet he’s inexorably drawn to the charismatic Colin despite his best efforts to keep him at bay. As their journey extends from the cramped and miserable depths of a prison ship to the vast, untamed Australian outback, Colin and Patrick must build new lives for themselves. They’ll have to tame each other to find happiness in this wild new land. 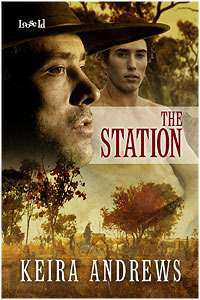 I’ve had my eye on The Station by Keira Andrews [Loose Id LLC, 2010] for quite some time. In addition to the Canadian and American frontiers, the Australian outback is an equal favourite. Similar ingredients apply, of course: strong, independent characters; rugged settings; and an overall sense of adventure. This story is slightly different inasmuch as it commences in England, but most of the other ingredients are there. Colin Lancaster is the privileged son of English gentry, and is thereby accustomed to the pampered lifestyle that goes along with it. On the other hand Patrick Callahan is an Irish stable hand, and under ordinary circumstances the two should never have found common ground apart from being master and servant. However, at sixteen Colin witnesses a tryst between Callahan and another male servant, and the impact of it throws Colin into a turmoil. He’s fascinated by what he sees, but conflicted by his upper-class beliefs and morals values. Nonetheless, Colin frequently dreams of being taken advantage of by the earthy Patrick Callahan. As fate would have it Callahan has the misfortune of being caught in the act of sodomizing another male, and is in immanent danger of being lynched. That is when Colin rather gallantly steps in to save Patrick’s life by declaring that he too is a sodomite. He therefore manages to save Patrick’s life, but the two of them are sentenced to be transported to the penal colony of Australia. The real adventure starts the moment they board the prison ship—generally anchored offshore until a full load was achieved—and although Ms Andrews has done a good job of describing the harsh conditions aboard ship, the reality is they were frequently much worse. During this voyage Colin is nearly raped and Patrick almost dies, but through it all Colin maintains a stoic optimism of starting a new life with Patrick. Patrick, on the other hand, is more of an enigma. We know he has been emotionally scarred in the past, and that he has steeled his heart on account of it; nevertheless, there is nothing that binds two males together like the sharing of adversity, i.e. ‘equals’ even if they do come from opposite ends of the social spectrum. The Australian adventure is equally rugged, but I’ll leave that for other readers to discover. Ms Andrews does a very nice job of wilderness adventures, and also of character development [see my review of Voyageurs, by Keira Andrews]. In the aforementioned, the characters are social opposites with the baser character taking the lead. In this story, however, it is Colin who possesses the inner strength. The juxtaposition works, but the result is that Patrick is not as well developed as he could be. Nevertheless the description is first rate, and it is this that keeps the rating well up there. An outstanding plot, likeable characters, and a first-rate adventure. Four and one-half bees. 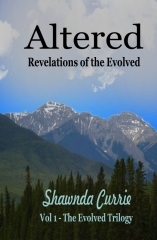 To get your copy: click on link, create an account using your email address and use coupon code F7UA8S7H for a $2.00 discount. There will also be 3 copies available for giveaway on Goodreadshttp://www.goodreads.com/. I will post direct link once it is active (approx 2 days). Giveaway will last until 3 Oct 2012. Good luck!